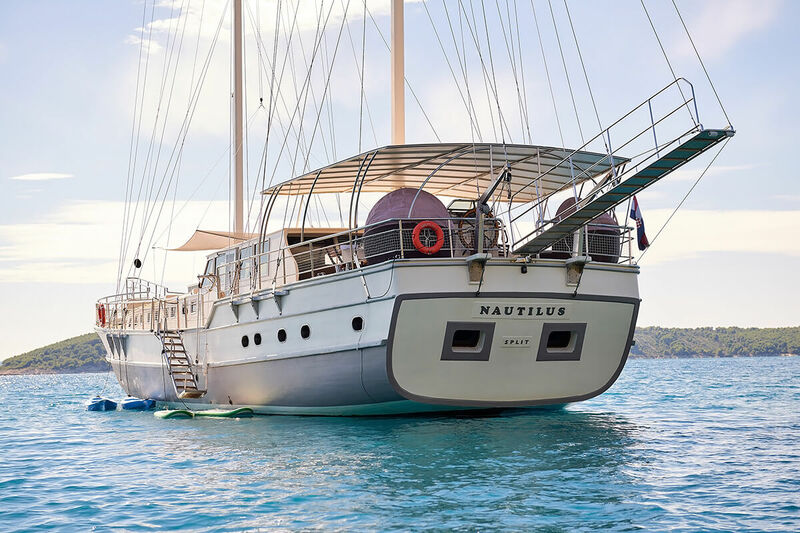 Luxury sailing yacht NAUTILUS is a traditional Gulet measuring 31m (101ft). 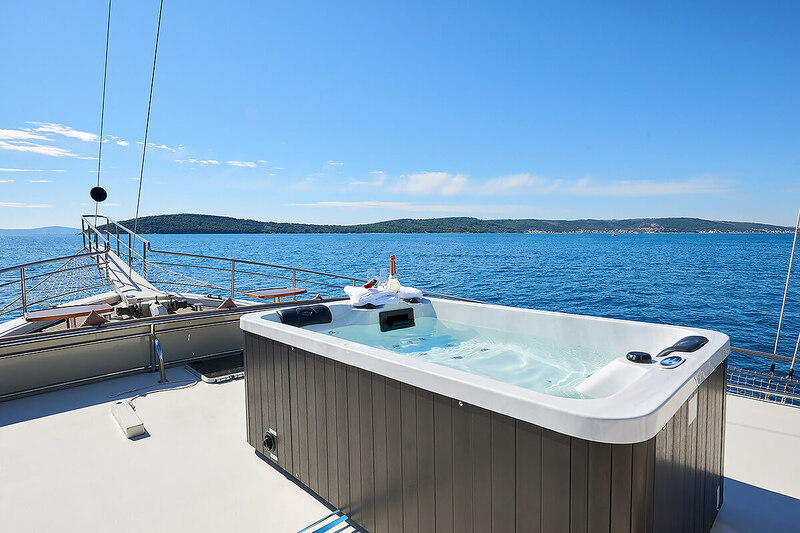 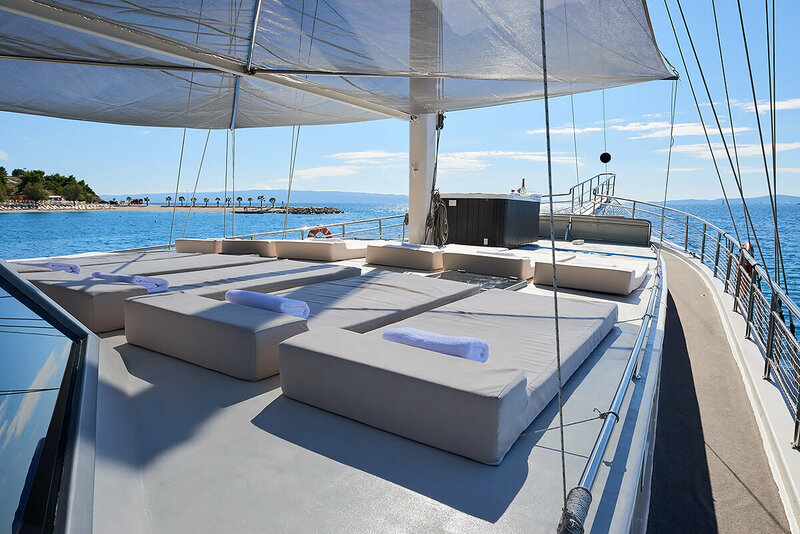 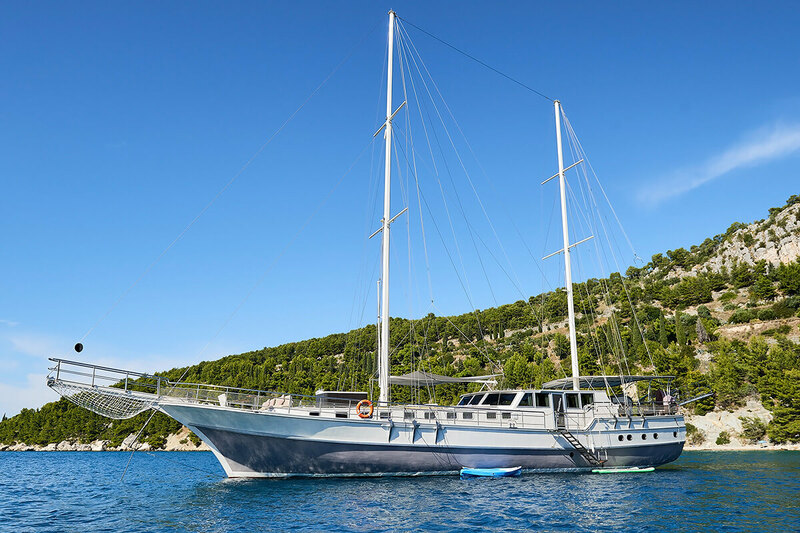 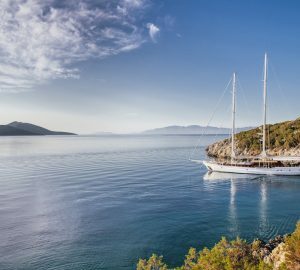 Refitted in 2016, the yacht offers accommodation for up to 14 guests, in 8 double cabins. 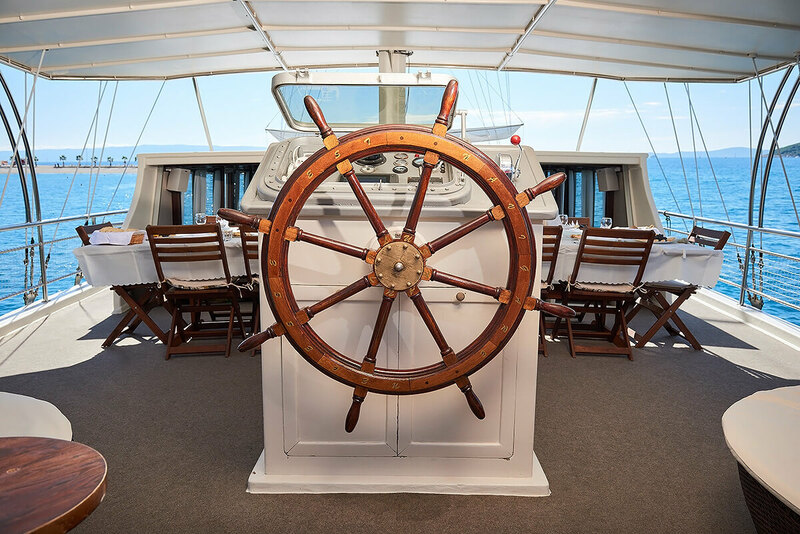 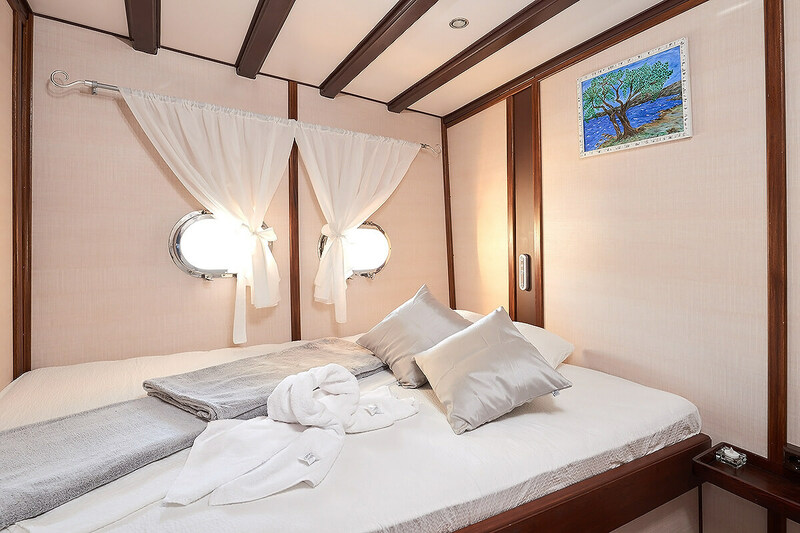 S/Y NAUTILUS has a warm contemporary interior décor of supple woods and white panels, creating a light airy atmosphere. 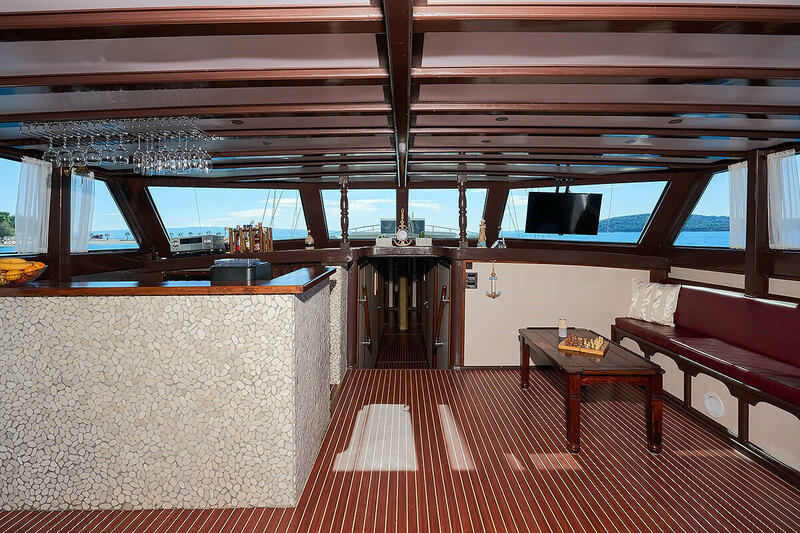 The salon is an open plan, featuring a lounge, 2 tables and a wet bar. 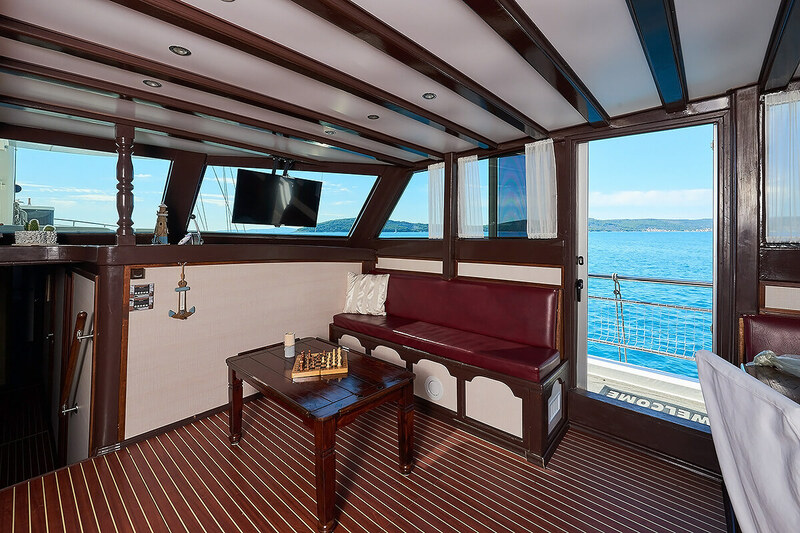 Surrounding panoramic windows allow ample natural light to compliment the space. 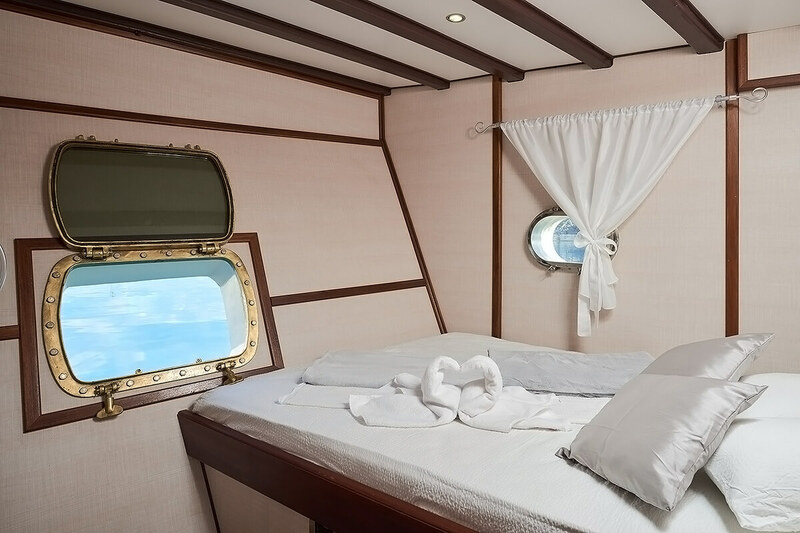 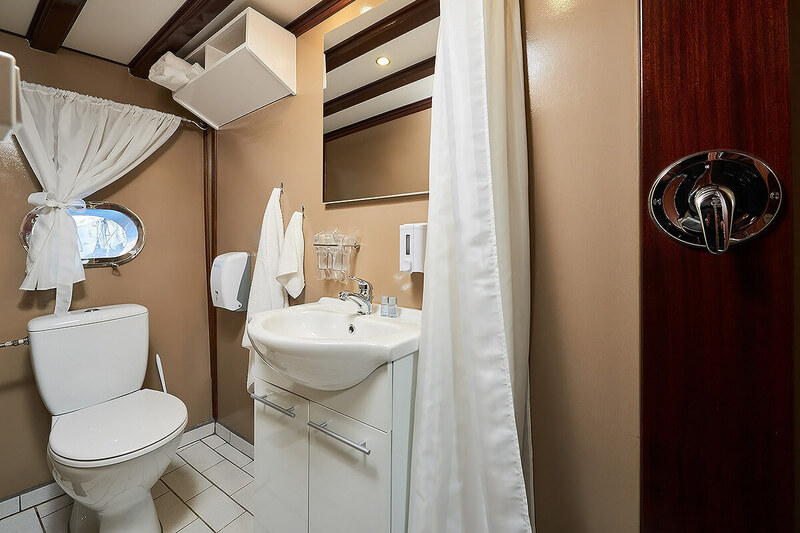 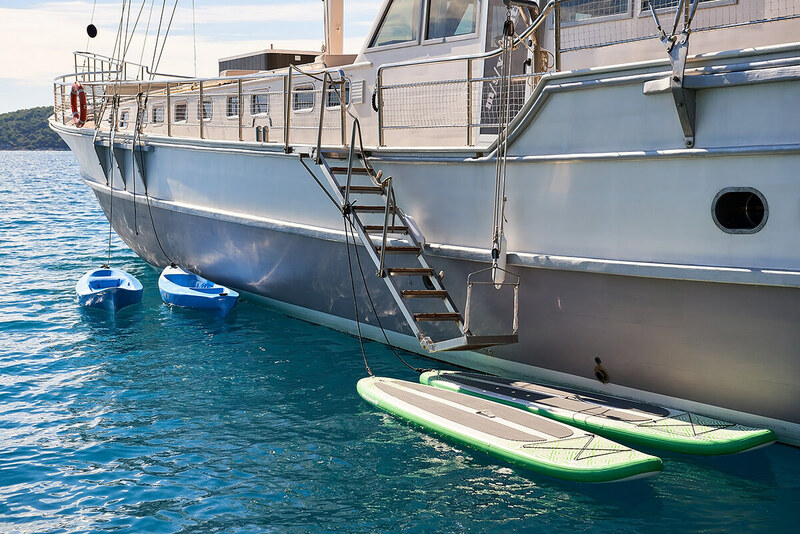 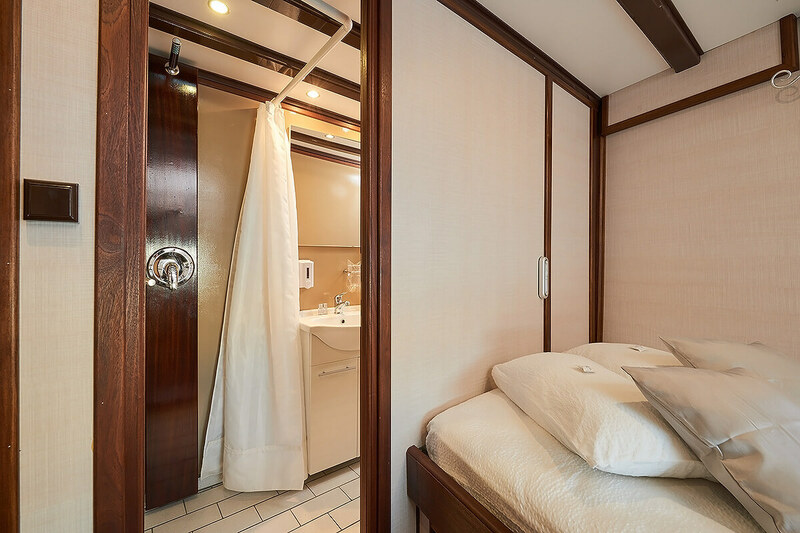 Below decks are 8 charter guest cabins, each with private en-suite facilities. 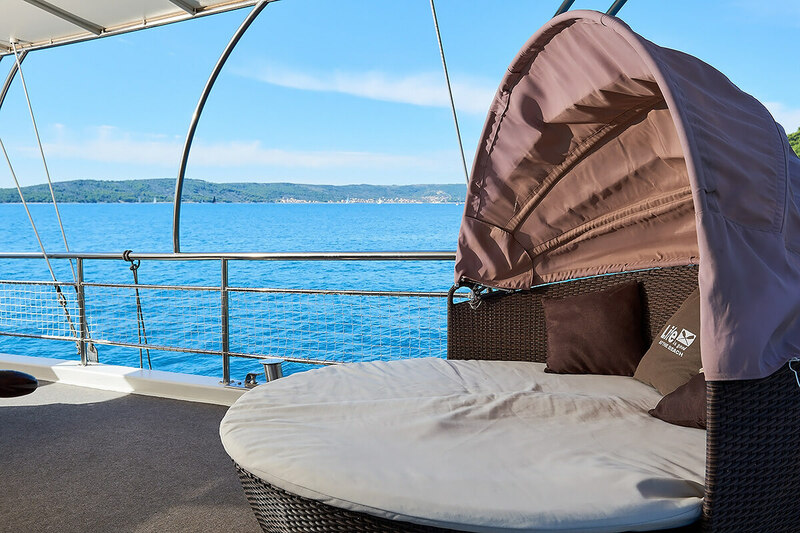 On deck there is the option to relax in shade or soak up the sun. 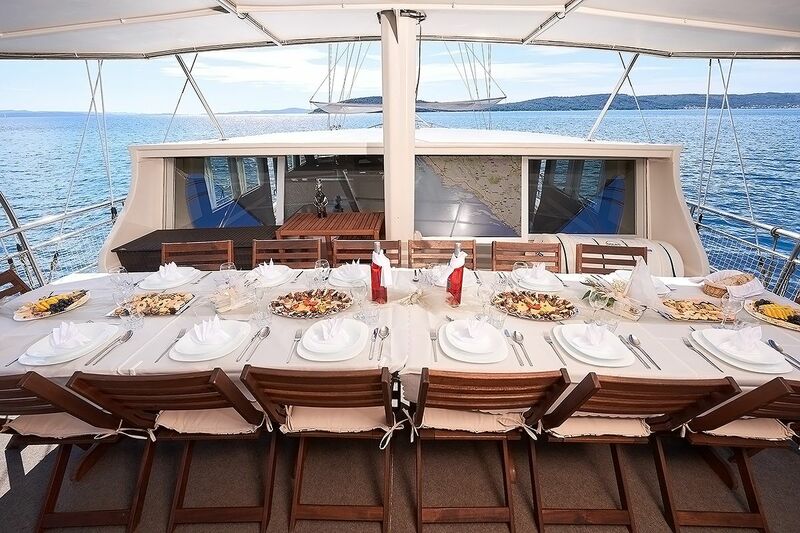 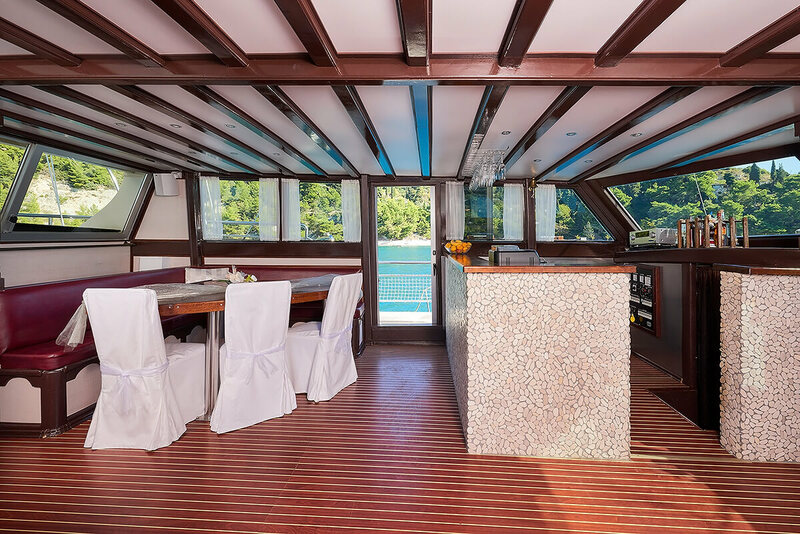 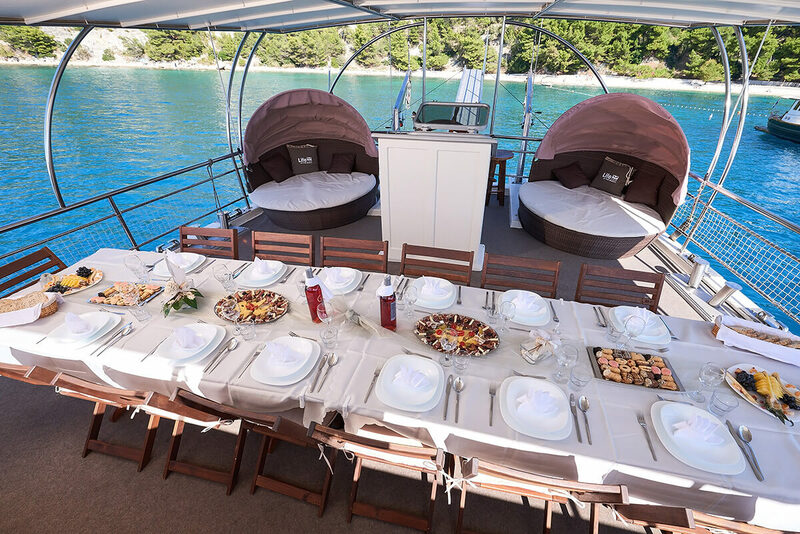 The aft deck is well-appointed with an alfresco dining table and Bimini cover, perfect for socializing. 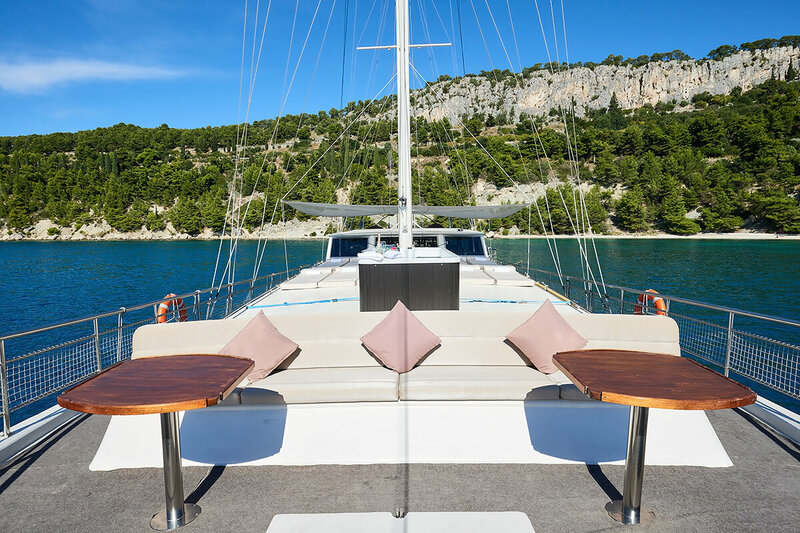 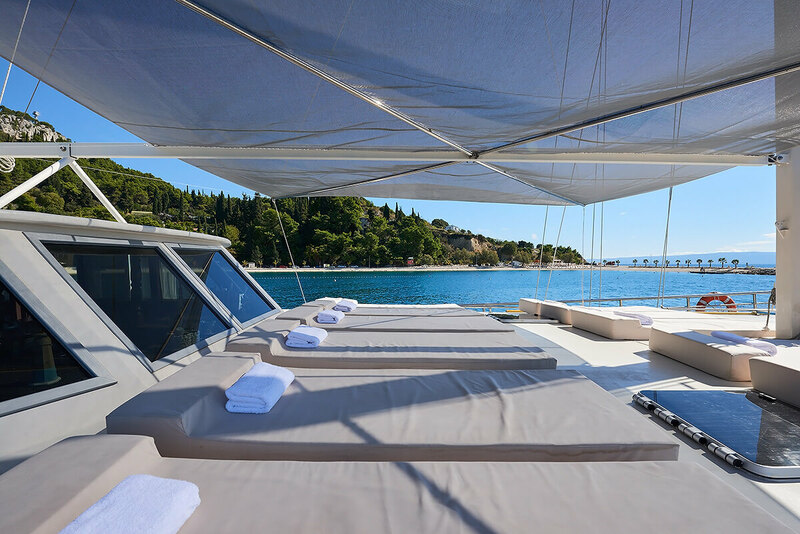 Her main decks wrap around the yacht, leading to the foredeck, where numerous sunbeds await. 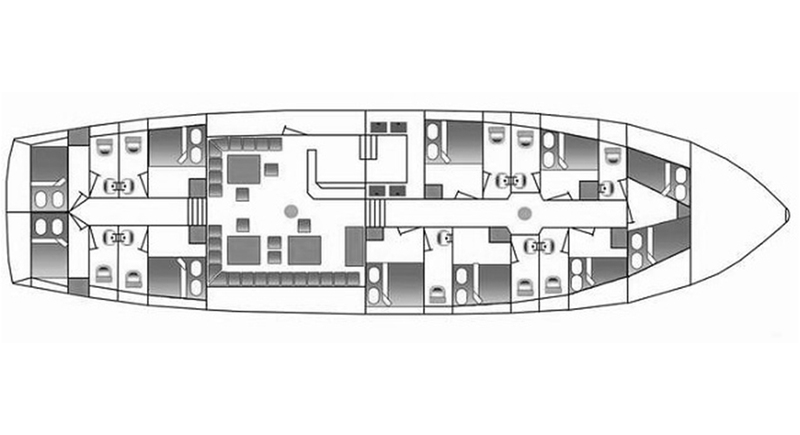 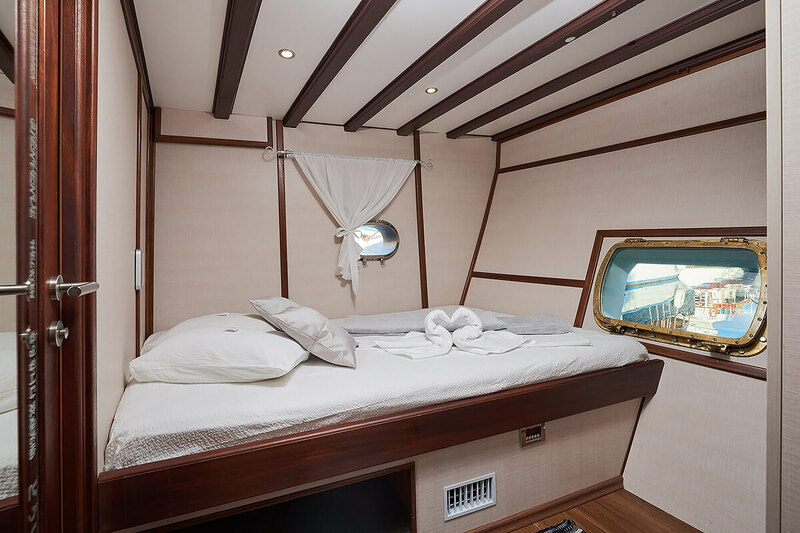 Below decks, sailing yacht NAUTILUS offers spacious accommodation for up to 14 guests, in 8 double cabins.